Someone asked if they could remove the sound box in order to change the batteries, so I engineered an opening so you can access your sound box. First, here is what the unit I ordered looks like. Next time I think I will get the box with the button on a long wire, so you don't need to pull it all the way out. The Etsy shop I ordered it from is here. I googled BB-8 sounds and found someone had uploaded the sound files for people to use as ringtones for phones. I downloaded their files dropped them onto the sound box using the software provided! It was surprisingly easy. So, after row 32 in the BB-8 body, chain 12, skip 6, and proceed to round 33. When you get back around to the chain, sc in the first 3 chains, then skip 6 chains, and sc in the last 3 chains. This will create a loop that will go around your button. Make sure your sound unit fits through this hole you have made! 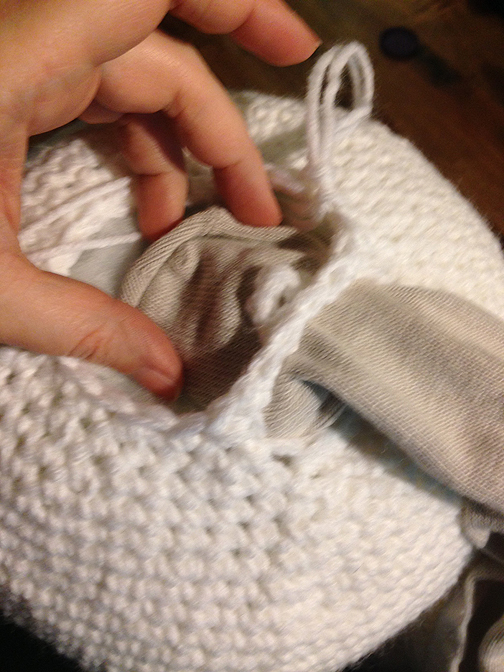 The fabric is pretty stretchy, so I was able to get both the unit and a long sock through the hole. I then maneuvered the box to about halfway up on one side of the BB-8 body, and marked its position from the outside. Test your button to make sure he makes his noises before closing him up! 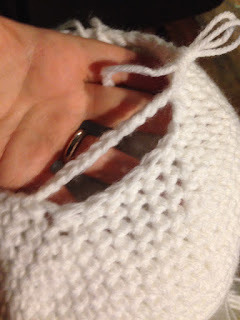 As I said, if I had gotten the other model, instead of putting it in a sock I could have just positioned the button in place, and kept the box right by the opening. 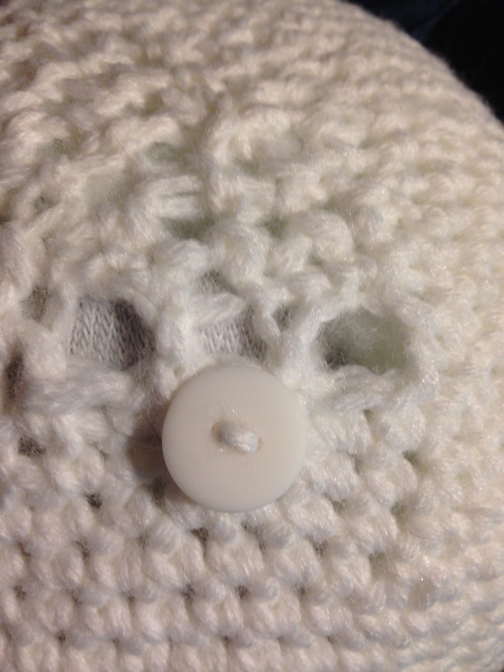 Invisible decrease until the bottom is closed up, and use the ending yarn to close the hole and then sew on the button. And now you have a neat button on the bottom, that gives you access to your sound box, if you need to change the batteries or replace the sounds! 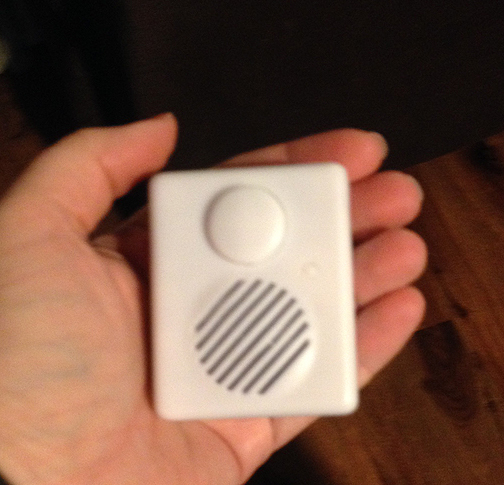 The sound box also has an on/off switch, so you could also turn the unit on or off as needed.